Society is getting older – and also less active. With 2012 being the European Year of Active Aging, the importance of remaining active in later life is becoming more at the forefront of policy making – and not a year too soon: In England only 17% of males and 13% of women aged 65-74 are physically active. And inactivity is responsible for an estimated 5-8% of premature deaths in the UK – and costing the NHS an estimated £1,8 billion. There are major misconceptions about good levels of physical activity – actually not only amongst people who are over 65 – but also amongst care providers. While regular physical activity is particularly important for this age group – many people think that if they haven’t been active all their life there would be little or no benefit in starting in later life. 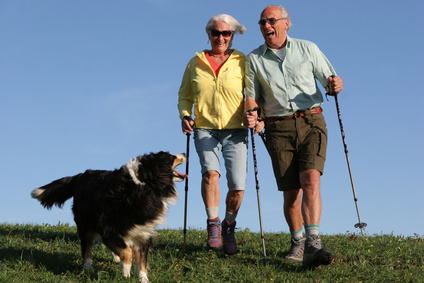 Many of the messages directed at increasing physical activity are not considered relevant by people over 65. This includes social marketing messages who often emphasize other benefits then health benefits. The problem that emerged during the focus groups was that many people in the target group were actually more responsive to health centric messages – and that current messages tended to be perceived as for the “younger”. As the health benefits of exercise are not well understood, clarifying these is a major priority going forward. Physical symptoms of exercise, i.e. being out of breath or muscle soreness were seen as negative signs – and interpreted as a sign to go slow or stop exercising. This is quite the opposite of many younger people – and again reinforces the need to raise awareness of the health benefits of exercise – and also demonstrate that physical symptoms like being out of breath are not a negative – but rather show that exercise is working. Advertising was seen as the least effective way to promote messages – and current advertisements were noted – but not found to be relevant or interesting. Better channels included health practitioners raising the topic pro-actively. Amongst media channels, radio programs were seen as effective, especially serials and talk-shows. Several participants also mentioned that there was little depiction of characters in later life engaging in exercise in any of the popular shows in the UK – so there were no real role models. Pretty much all participants also pointed out that they were not “old” – and therefore felt that many of the activity programs run by local authorities were not for them – as they frequently branded themselves “for seniors” etc. (a label that was seen by some as even offensive). Many participants felt the positioning should be more subtle – emphasizing well being and staying young – rather than being old. These findings are based on only a few groups – but so far, from a social marketing perspective, a really interesting story emerges: the preference for health-emphasizing messages rather than promoting other benefits is interesting (and different to many other target groups). Equally, the various barriers and (often wrong) perceptions will be a challenge to overcome. It’s a very interesting topic and something the younger generation should worry about. David Attenborough’s speech at the RSA clearly warns us that we cannot continue to increase the population in order to care for the older population. 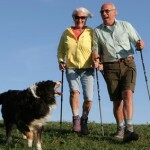 So, the healthier the older population (that’ll be us in a few decades! ), the better it is for the planet. Would they respond to a scare mongering as such? I.e., ‘If your children are on holiday, don’t expect a young nurse to be there to help you up and down the stairs’? Food for thought. I can see the point of not wanting to be referred to as ‘old’. But I’ve also seen examples of ‘I’m over 65, I’m done with getting toned/dieting, etc’. Even when told by their GP, some may choose to ignore the message stubbornly. Why? Who knows. It may be deeper than social marketing and concerns a psychological issue such as Theory of Planned Behaviour, which has been used in experiments that show that active planning, keeping diaries can ensure a behavioural change. Very good point, Nathalie. I think you are very right in suggesting TTM isn’t enough. I’d speculate that while TTM will be good to “segment” people, and to guide one to one interventions, more substantive (and social) theories like TPB/TRA would be needed to design societal level interventions and to achieve a change in terms of knowledge/attitudes. Next story Open Access Your Work! Previous story Oh No! We don’t do THAT [on tv – but everywhere else]!